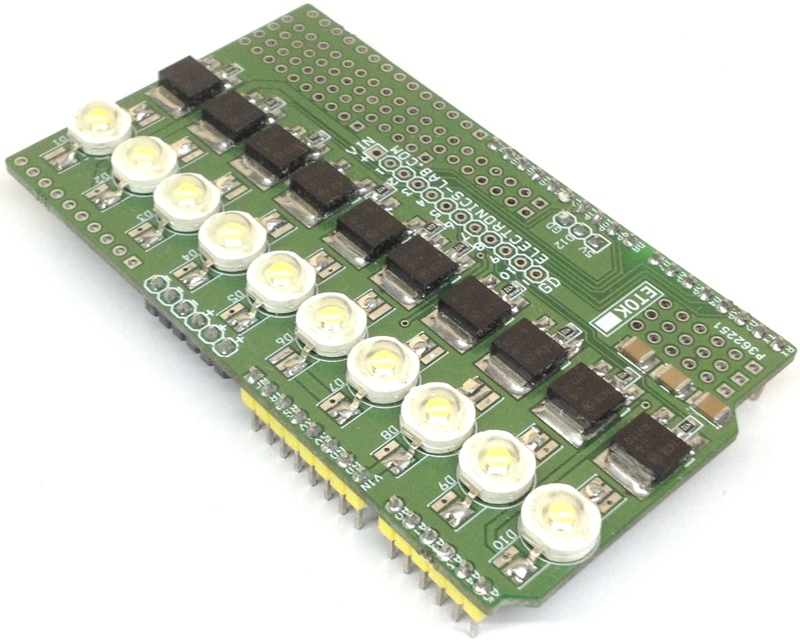 This project includes 10 LEDs of 1W each, and provides high intensity lighting that can be used in various applications. 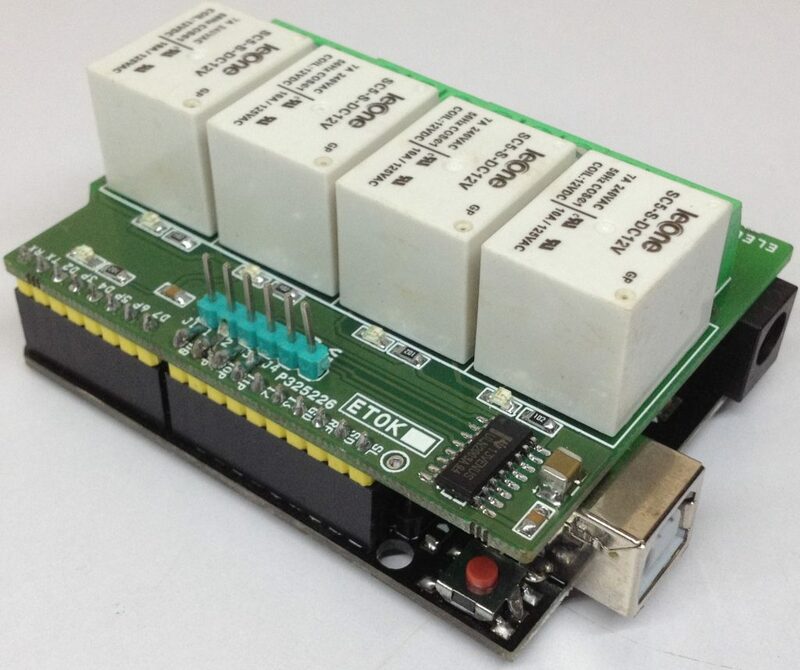 The board is made in Arduino shield form and can be used with Arduino Uno or Mega. 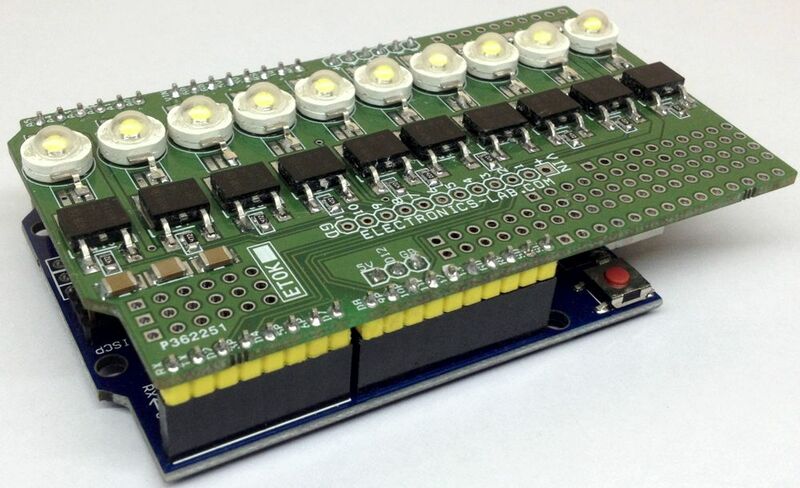 Each LED can be controlled individually connected to digital pins D2-D11 of Arduino. 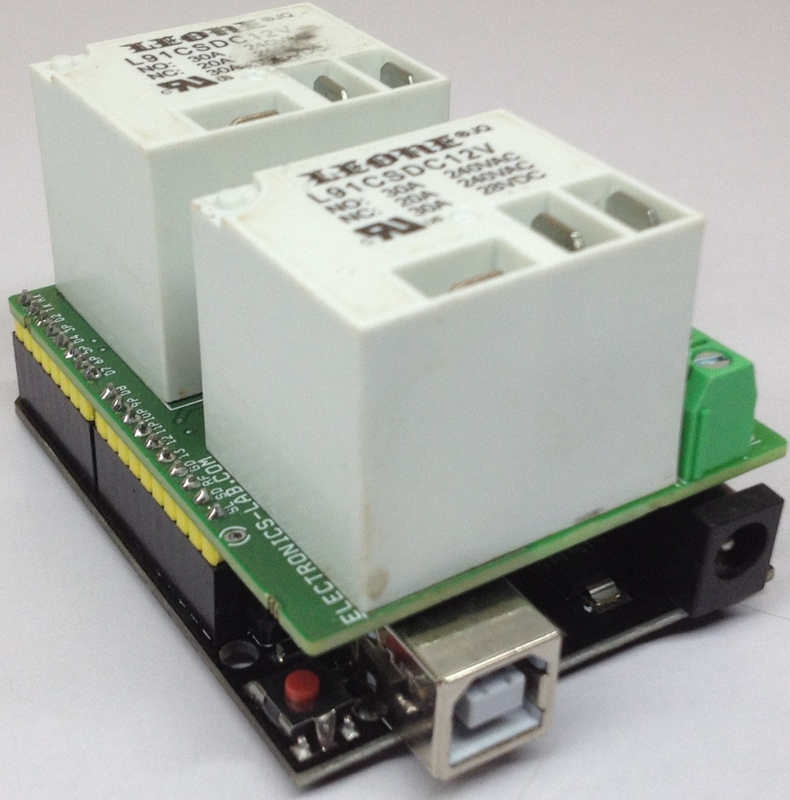 Circuit requires 9-12V supply, it can work with lower supply by changing current resistor across LEDs. 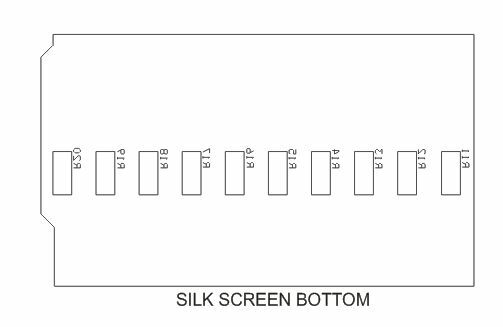 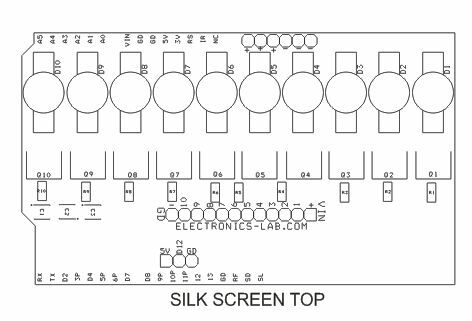 Applications include: Large size Bar-graph monitor, led sequencer, strobe, LED light effects are possible applications with this board. 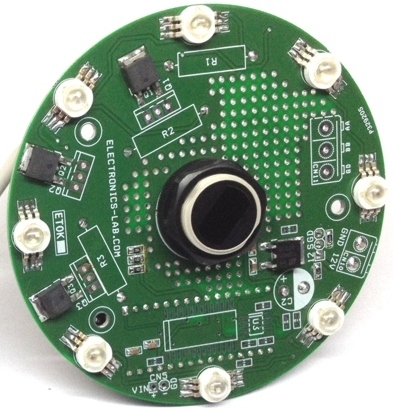 CN3 provided to interface PYRO sensor or any sensor to create interactive light effects. 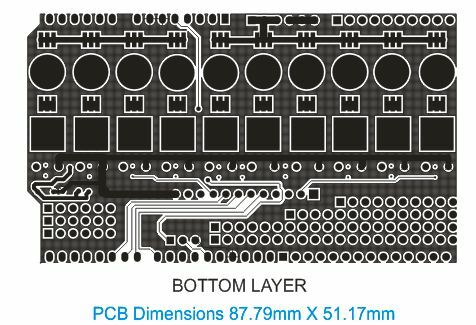 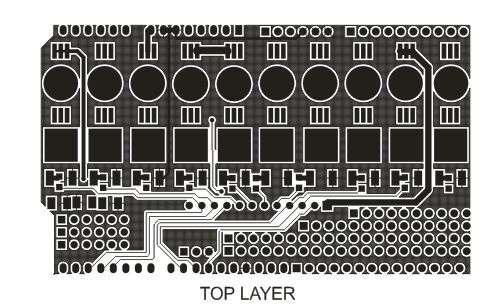 Unfortunately we don’t sell kits, but we could produce the board if order is > 25 pieces.